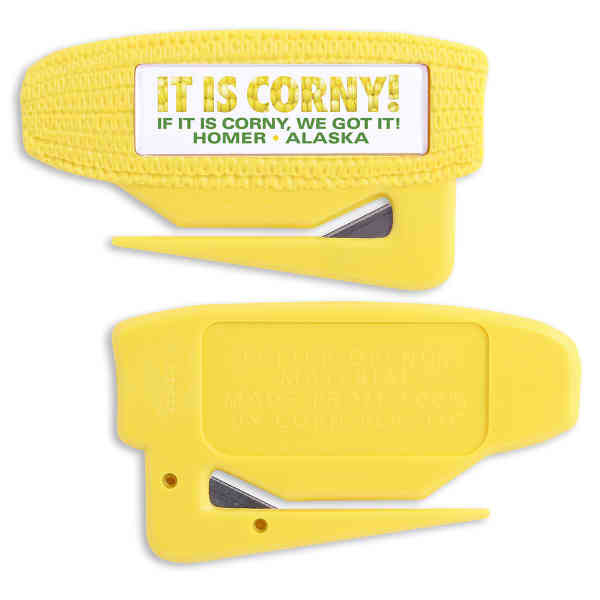 NatureAd corn plastic Zippy letter opener with stainless steel blade and corn information molded on backside. Imprint under protective lens. Made from 100% U.S. corn plastic. Green Product. Nature Ad™ environmentally friendly promotional product that not only helps relieve U.S. dependency on foreign energy but is based on a renewable U.S. agriculture product Corn product! Compostable, eco-friendly. Size: 2 " x 3 3/4 "
Imprint Size:9/16" x 2 1/8"